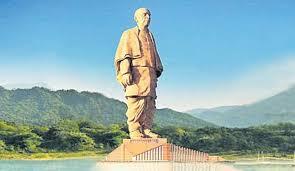 Here You will get 5 Best images of the statue of unity and its specialty of Statue of Unity. 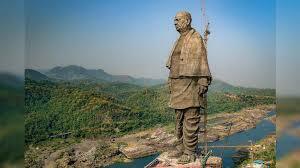 Hope you will like all the 5 images of the statue of unity. 182-meter high skyscraper of Sardar Vallabh Bhai Patel. Prime Minister Narendra Modi will present an unmatched sample in the form of the Statue of Unity in front of the country and the world on Wednesday morning. 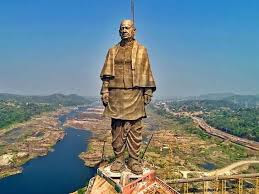 The 182-meter high skyscraper of Sardar Vallabh Bhai Patel of unbroken India will stand proudly in front of the world between the hills of Vindhyachal and Satpura. It is higher than China's Spring Budva and New York's Statue of Liberty. Thousands of laborers and hundreds of engineers worked for months to create this statue of 182 meters, as well as the US, China and Indian artisans worked very hard. So far Buddha's statue in China was the highest of 128 meters, followed by America's Statue of Liberty at 90 meters, in India, also dreaming to set up a 182-meter-long statue in the river bank and making it a big challenge. It had come true. Craftsman Padmashree Ram Suthar and his son Anil Suthar and along with them were American architect Michael Grace and Tunnel Associates Company. The special feature of the statue is that the statue of Sardar Patel, 138 meters high Sardar Sarovar Narmada dam on his name will be seen looking and the sight of the dam in Sardar's eyes. This project, spread over 19 thousand 700 square meters, has formed a valley of flowers around 17 kilometers long, which will be the center of tourist attraction. Visitors can reach the heart of Sardar through lift, 135 meters long gallery to accompany two hundred tourist idols together. 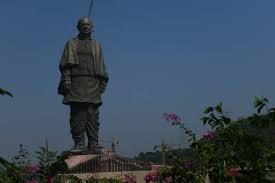 The construction of the statue is 70000 tonnes of cement, 22500 tonnes of steel and 1700 MT of copper. The image is anti-earthquake, which can tolerate an earthquake of 6,5 intensity and can bear the strong winds of 220 kmph. 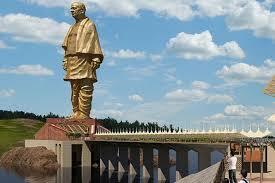 This statue, made up of four metals, will not touch the statue, 85 percent copper is used in its construction.